Imrov Sheep are among the smallest sheep breeds in Turkey. They are raised for meat, milk, and wool. They are predominantly white, with black marks around the mouth, nose and eyes, on the ears and rarely on the tip of the legs. Their tail is thin and long, usually reaching below the hocks. 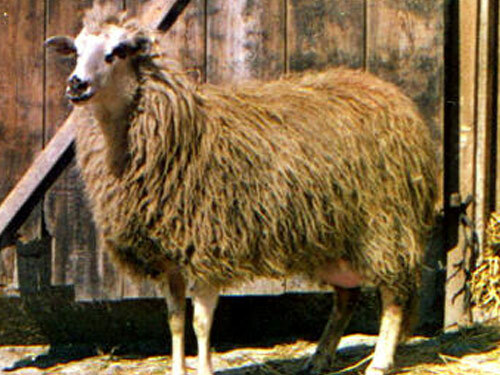 Rams have strong spiral horns extending sideways; ewes are usually polled, but up to 30% of the ewes may have small scurs. Their head are narrow and its profile is straight. Their wool is very coarse and long, and it covers the top of the head.